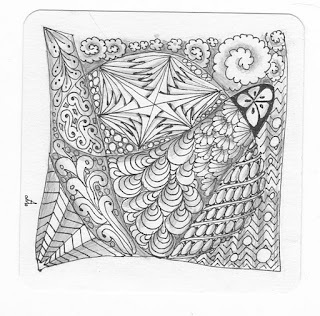 Here is todays art.. tangle of course. Following MB's idea of using new or unused for ages tangles, I had such fun with this, trouble is I cant recall theri names..how effecient is that? anyway, other tanglers will recognize them no doubt. Thing is I did this on watercolour paper, so now I want to paint it!! Leah of AEDM gave a quote today that I related to well. Take imagination breakes..Relaxed attention is one of the most productive states of mind for creativity, and sometimes it has to be learned. I am an art teacher living in country Victoria, Australia. I enjoy painting, embroidery, photography, calligraphy and my grandchildren! 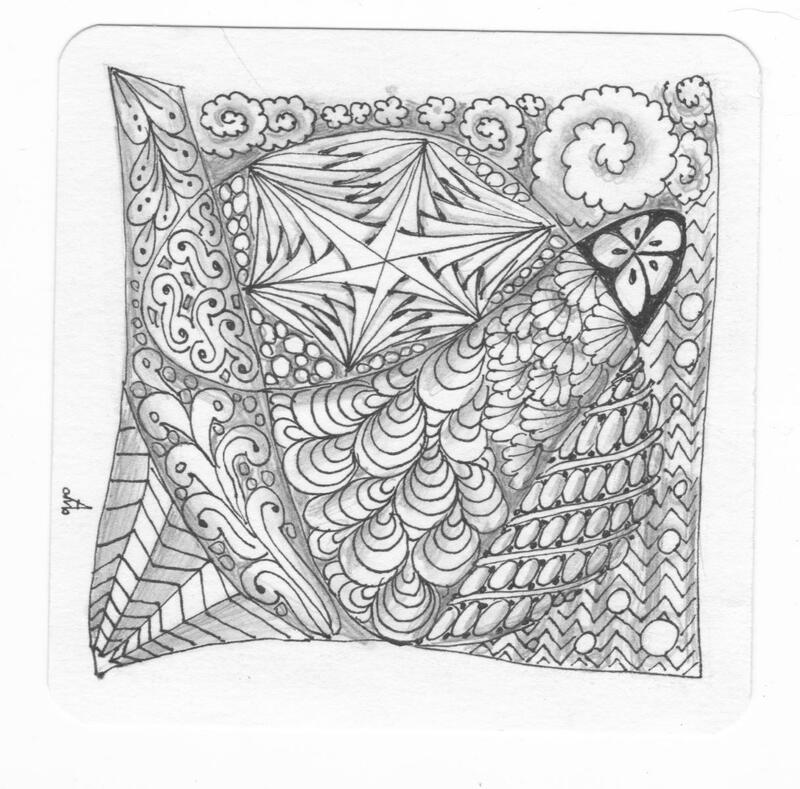 Zentangling has opened up a new method of expression and entertainment for me. It has also put me in touch with creative people who are a real inspiration.